This is the last known picture of me with a beard. The gender dysphoria was getting to be so strong that I could no longer live a dual life. My inner feminine self needed to breath and I’ve never looked back. In May of 2015 I started my social transition. 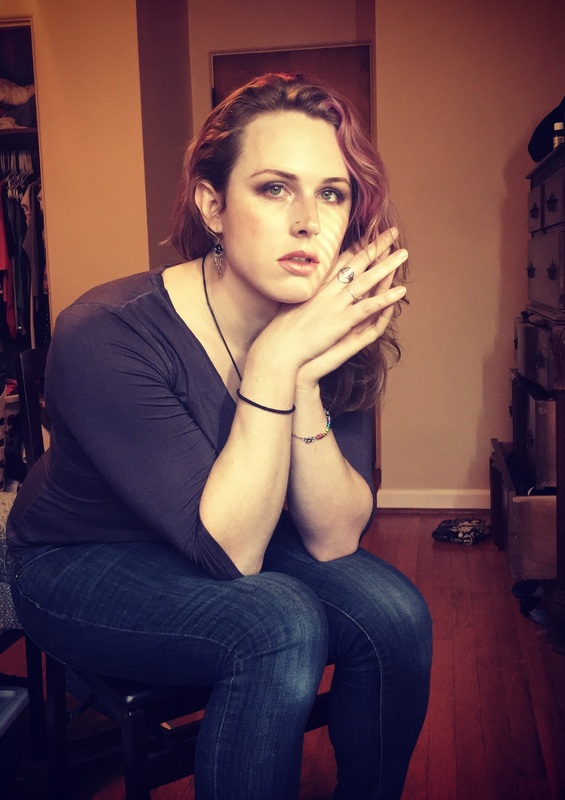 I’ve written about my early days of transition here. Quite frankly, I had no idea what I was doing. Everything was scary and I had to quickly figure out clothes, makeup, hiding beard shadow, my voice, mannerisms, unlearning socialization, passing, dealing with social anxiety, getting clocked, dealing with legal ID issues, being part-time, coping with dysphoria, not to mention my studies and teaching. How would I present to my students? How would I tell my department? How fast would I make a transformation in presentation? One of the very first things I would do after starting transition was get laser hair removal on my beard. I eventually got 8 sessions altogether. I still plan on getting more when I can afford it. At the time I just put it all on my credit card because it was so urgent in terms of letting me live my life without dsyphoria and anxiety about passing. This was still pre-HRT and representative of the androgyny that became my safe-haven before I could live authentically 24/7. I skirted the boundary between both genders. I figured it would be more safer to present as a feminine/andro man than a totally non-passable woman. This strategy would serve me well for a long time. I think all trans girls get bangs at one point in their transition. I ended up hating them and regretted them almost immediately. My hair has a natural curl and they were SUCH a pain to style. Never again. This is me at the doctor’s office getting my first script for HRT. I started on estradiol oral pills, spironolactone, and finasteride. I would eventually drop the finasteride and switch to injectable estrogen. I also recently added progesterone into my regime. I also switched doctors because my first doctor ended up being a conservative old fogey who is stuck in the past and refuses to give the best care for his trans patients. I met AJ and started my first relationship since transition. They were terrific and it was a beautiful time we spent together. We eventually parted ways amicably. In the middle of December, right before I went home to Florida for Christmas, I met Ashley who was one of the great loves of my life. She was my first real lesbian relationship and it was a major period of personal growth and development in my transition. We were madly in love and u-Hauled it in classic lesbian fashion. We soon got engaged and lived in a beautiful little bubble in her downtown loft. I get my legal name change. Turns out legal dysphoria is a thing and it absolutely sucked to have to use my deadname to get into bars, do my banking, or any other adult activity. Getting legally recognized as Rachel changed my life in so many countless ways. It was definitely a significant milestone in my transition. A little over 1 year on HRT. Ashley and I split up. It was for the best. I dyed my hair purple! Still with McKenzie at this point. In October of 2017 I also ended things with McKenzie. It just wasn’t working out. Shortly after, I met this cool lesbian poly couple and I’ve been dating them ever since. Things are good. I’m not involved in a serious primary partnership at the moment and that’s OK with me. I recently gave up on the personal training business. Just wasn’t making enough money and wasn’t finding the work rewarding. Still working at Starbucks. I recently picked up a second job delivering pizza. With the second job, things have been looking up financially. Things are good. I’m happy with my transition. I still have some more medical things I’d like done eventually but I’m not in a rush. I don’t pass 100% but my dysphoria is pretty minimal. I still get misgendered and clocked sometimes but I’ve come to peace with it. I can now sometimes pass as female over the phone if I’m using my customer service voice. Emotionally, I am really at peace with myself right now. I’m living on my own, paying my bills, feeling more autonomous than I have in a long time, and feel like I’m in charge of my destiny. Even though I am no longer pursuing academia and I am “merely” working at Starbucks/Domino’s, I still have big intellectual goals. I want to keep blogging, maybe start working on a book. My eventual goal is to make a living from my writing. In the meantime I am content with working in the wage economy while having the freedom to follow my interests in my free time. I’m only 30 years old. My dating life is good. I have a nice apartment and good pets. My stress levels are low. I’m in a good place mentally and physically. Here’s to hoping that my 30s will be my best decade ever. you are fortunate to have discovered yourself early as it took me much longer to do so. I was well into my 40’s when I discovered I had to deal with my dysphoria in a meaningful way before it destroyed me.